Dr. Lingam got involved in skin care after finding out about the toxic chemicals in his baby’s skin care products. 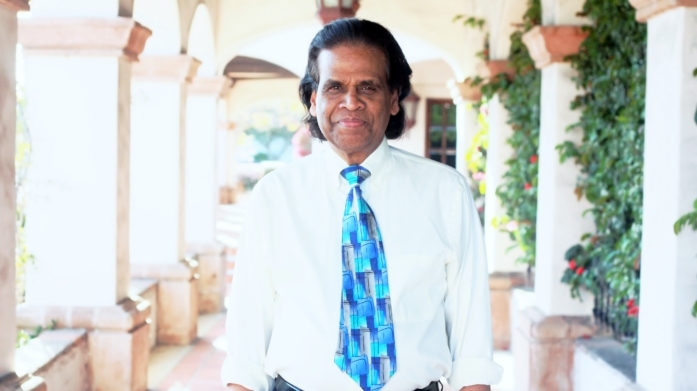 Dr. Lingam was born into multiple generations of Ayurvedic family physicians in Sri Lanka and educated in England in Chemical Engineering and worked in pharmaceutical and synthetic (rocket) fuels before entering into the anti-aging – wellness field twenty-five years ago. Since 1988, he has combined the wisdom of the East with the science of the West to provide true and practical result-oriented, age-defying programs, therapies, and toxins free formulations. These programs and therapies encompass yoga, Ayurveda, meditation, mantra, energy work, Ayurvedic Aromacology, chakra balancing, anti-aging treatments and programs, detox programs (intense Panchakarma), weight management, natural skin care, nutritional products, aesthetic treatments and happiness. Dr. Lingam has conducted research for 15 years with Brian Jegasothy, MD, formally chairman of the Department of Dermatology, University of Pittsburgh, on anti-aging and inflammatory ingredients. He has also researched and worked with nutritional experts, Yogis and Ayurvedic physicians in India, anti-aging physicians and scientists, plastic surgeons, physicians and Naturopathic physicians to develop age-defying programs and therapies.